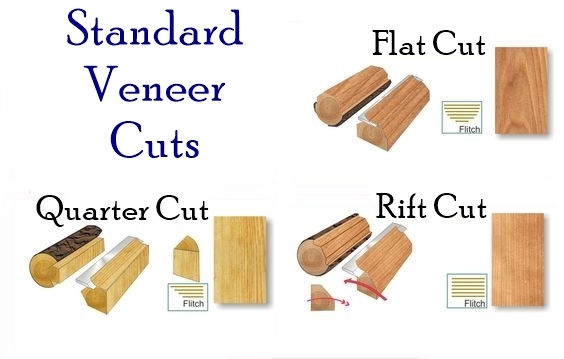 Veneer Width & Length: Required Choose Options 24" x 12" 24" x 24" 24" x 36" 24" x 48" 24" x 60" 24" x 72" 24" x 84" 24" x 96" 48" x 12" 48" x 24" 48" x 36" 48" x 48" 48" x 60" 48" x 72" 48" x 84" 48" x 96"
Walnut Flat Cut Veneer. Walnut when stained is rich chocolate brown with dark or purplish streaks. Flexible Veneer consists of 1/64"thick real wood veneer permanently bonded under heat and pressure to a 10 millimeter non-woven fiber backing, allowing it to be applied to curved surfaces. It can be applied to almost any substrate, including metal, plywood, particle board, etc. This veneer finishes like any other real wood and can be lightly sanded, sealed, stained, filled, and finished with top coats. Comes in 2 & 4 foot widths and a choice of lengths for all your woodworking projects.